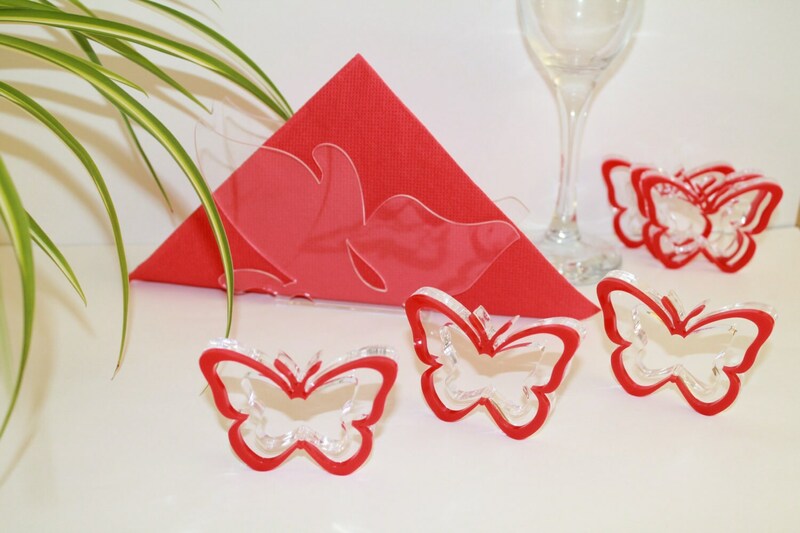 Butterfly napkin holder and butterfly napkin rings is a classy way to dress up any dinning tables! 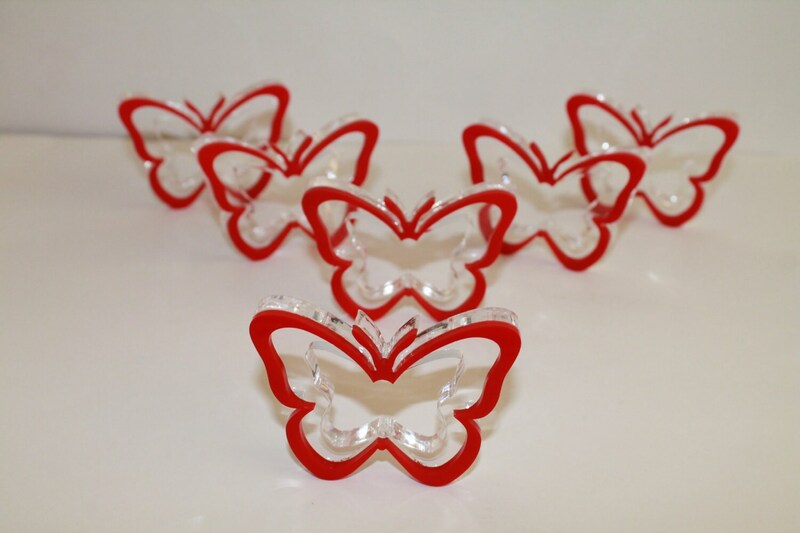 This lovely romantic napkin rings are made entirely of acrylic in a pretty butterfly shape decoration in red and c-thru. 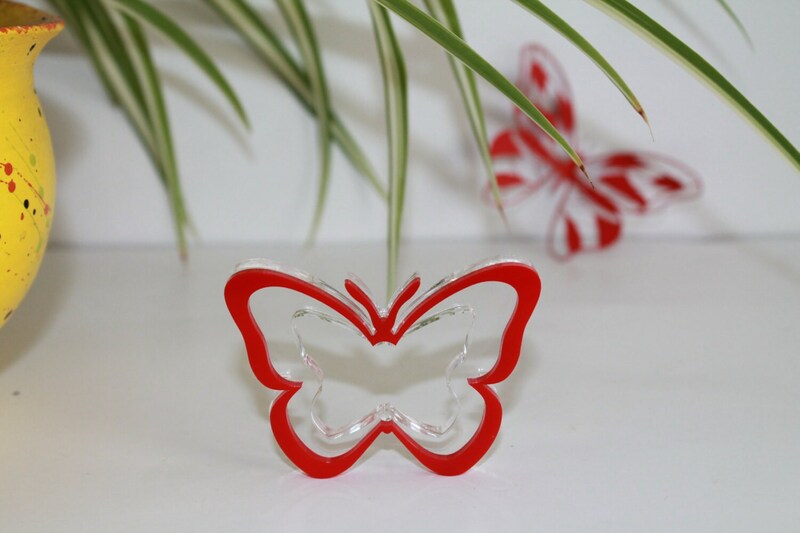 The butterfly is red acrylic in bold design. 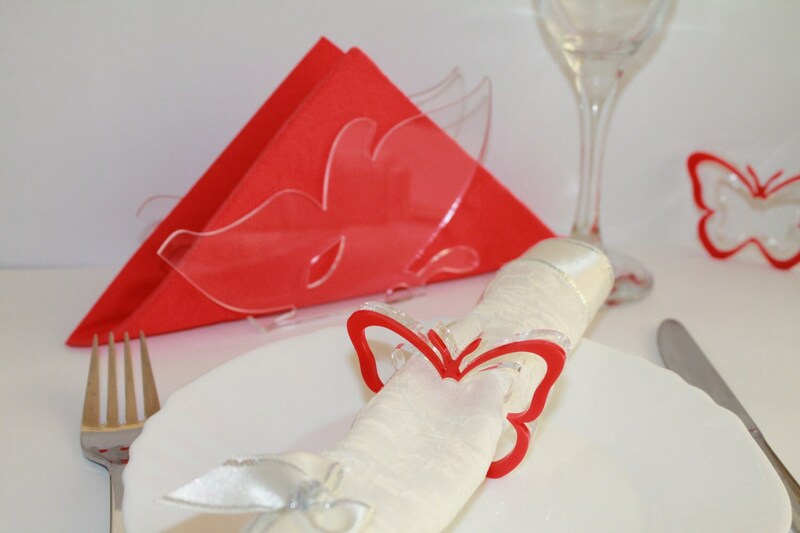 The set included 6 cloth napkin rings and one paper napkin holder in romantic design. 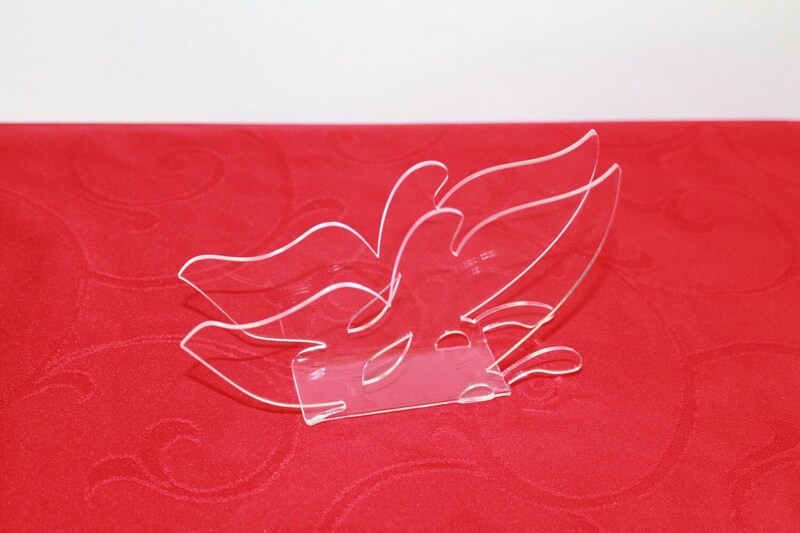 Designed for casual or formal table and especially perfect for Weddings Day Dinner, Party Decor, Birthday Party, Spring Party or every romantic meal.